The SDSU Pep Band is one of the finest musical spirit groups in the nation. This band performs at all men’s home basketball games in the on-campus, 12,414 seat Viejas Arena. The Pep Band performing exciting custom arrangements of contemporary music, and draws from a playlist of over 300 tunes. Marquee performances by the Pep Band include the 1998 World Series, Super Bowl XXXVII, Wheel of Fortune - College Week (House Band), NBC’s Today Show, Bring it On (the movie), several San Diego Padres Games, the 2005 and 2006 Davis Cup and 2008 Fed Cup Tennis Matches, and a featured halftime performance at the 2008 Chargers Playoff game. 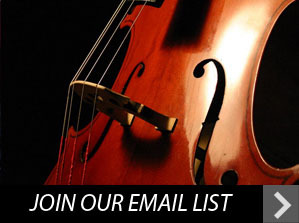 Auditions are held at the beginning of the Fall semester. Auditions consist of sight reading a short musical excerpt in a jazz/rock style. 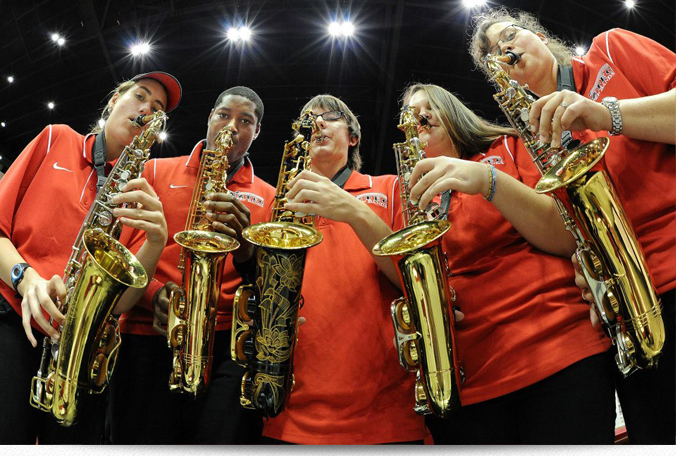 The Pep Band season runs from mid-September through the first week of April. This class meets on selected Wednesday evenings from 6:30 pm to 8:40 pm, with 6 to 8 rehearsals in the fall semester only. Performances days vary. You must be available to play at games during the winter break (December-February), and this course is a two semester commitment (you must be enrolled and participate in both fall and spring semesters). Audition for the Aztec Pep Band! Audition piece and specifics on securing an audition time will be posted soon. View the latest schedule of games and rehearsals. The SDSU Varsity Band is a high energy, high spirit group that performs at all women’s home basketball games in the on-campus, 12,414 seat Viejas Arena. The Varsity Band uses a “Marching Band” style instrumentation of approximately 30 members, and performs both Marching Band and Custom arrangements. No audition required for the Varsity Band. However, consent of Director is required prior to enrolling. The Varsity Band season runs from mid-September to mid-March. This class meets on selected Monday evenings from 6:30 pm to 8:40 pm, with 6 to 8 rehearsals in the fall semester only. Performances days vary. You must be available to play at games during the winter break (December-February), and this course is a two semester commitment (you must be enrolled and participate in both fall and spring semesters).